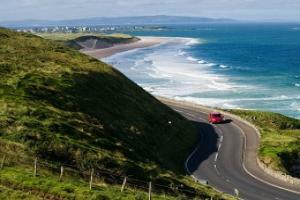 Northern Ireland is full of treasures for you to explore on this 7 day cycle tour of the Antrim coast. Around every corner, lie more breathtaking views to discover. This route along the Antrim coast takes you through a part of Northern Ireland that is rugged, wild and filled with lovely landscapes. The people are charming, there are also lovely traditional villages to see. 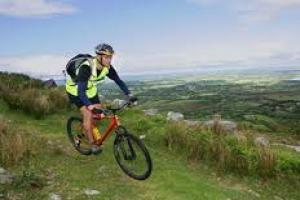 Discover the West of Ireland on this self guided cycle tour. If you are searching for an adventure that will take you through the true wonders of Ireland then you have picked the right tour. You will cycle north through Connemara to Westport and then descend to Maum and finish back in Oranmore. On your way, you will be able to see famous castles, stunning beaches, the magnificent Killary Fjord, lovely sheep farms and experience authentic Irish cuisine. Our self guided cycle tour schedule allows you great freedom to experience all that Ireland has to offer. Highlights: Visit the romantic Kylemore Abbey, walk on the magical Glassilaun beach, bike through the famous Killary sheep farm, explore the charming Westport House. 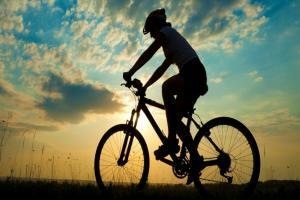 County Clare and the Aran Islands self guided cycle tour offers a multitude of experiences. You will see some of the finest natural attractions such as the Cliffs of Moher, the Burren National Park and the great stalactite in the Doolin Cave. There are also wonderfully historic buildings such as Corcomroe Abbey. These are just some of the iconic places that you’ll see on this two-wheel adventure. FREE transfers and CLiffs Of Moher day tour with this tour.